The Emmys were tonight and there were some expected winners and upsets too. HULU’s The Handmaids Tale won Outstanding Drama, beating odds favorite Westworld and Netflix’s The Crown (it won five total tonight); while long-running nominee/winner Veep won again for Outstanding Comedy. (Julia Louis-Dreyfus set an Emmy record for most wins for the same show in a row, six years going.) HBO’s Big Little Lies won five Emmys tonight, tying with The Handmaid’s Tale, including Nicole Kidman, Laura Dern and Alexander Skarsgard each winning their respective acting categories. Big Little Lies also won the first ever Outstanding Music Supervision award at the Creative Emmys which were given out last week. 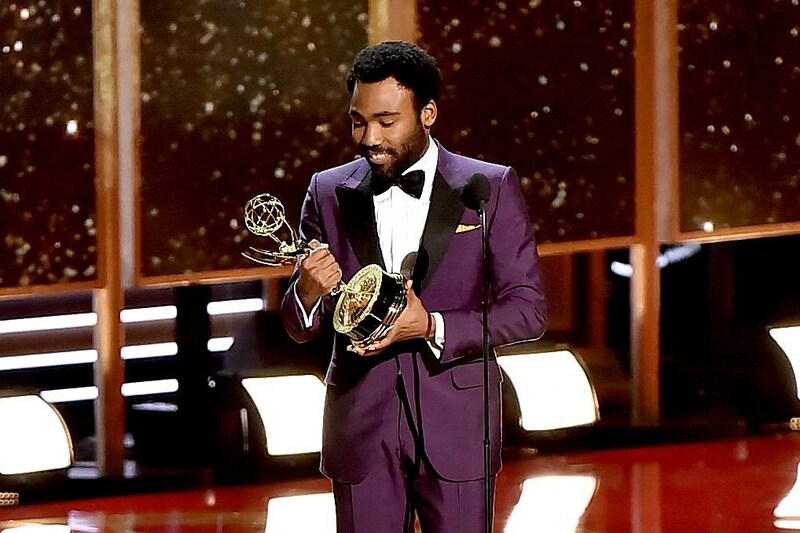 Swet Shop Boys’ Riz Ahmed won for Outstanding Lead Actor in a Limited Series for his role in The Night Of, and Donald Glover won for Outstanding Lead Actor in a Comedy Series (as well as Best Director in a Comedy Series) for Atlanta. Aziz Ansari won, alongside and Lena Waithe, for Outstanding Writing in a Comedy series for Master of None. Saturday Night Live won for Best Sketch/Variety series, plus Alec Baldwin and Kate McKinnon both won Best Supporting Actor in a Comedy Series and Melissa McCarthy and Dave Chappelle both won for Guest Actors. Black Mirror‘s best S3 episode, “San Junipero,” won Outstanding Television Movie and Outstanding Writing for a LImited Series, Movie or Special. While Stranger Things didn’t win anything in tonight’s main ceremony, it did win five Creative Emmys, including S U R V I V E’s Michael Stein and Kyle Dixon for their Main Title Theme. Stephen Colbert hosted the ceremony, which was broadcast live on CBS, and featured a surprise appearances by Chance the Rapper…and by former White House Press Secretary Sean Spicer. (Watch the opening monologue below.) Check out the full list of Sunday Night’s Emmy Awards, below.